"Mather’s Blood" takes place before the start of the DemonWars Saga and tells of the ranger Mather Wyndon, uncle of Elbryan, a central figure in DemonWars. This story was first published in Dragon magazine. 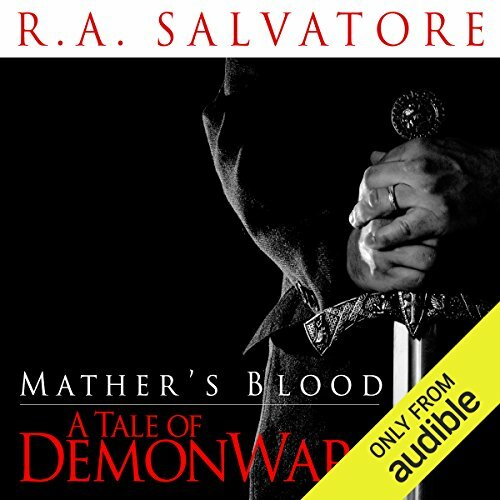 ©1998 R. A. Salvatore (P)2014 Audible Inc. I got drawn in surprisingly well considering the length. It provides a lot to be engaged with and wraps it all up nicely. The undercurrents of heroism, friendship, and sacrifice come across with sincerity. Short but satisfying overall. Wil Wheaton's narration was well suited to the material.